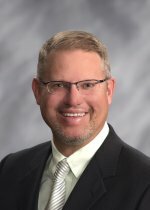 Dentist, Dr. Michael Krump, along with the staff at the Rapid City Downtown Dental Office, strive to provide all patients with the highest quality of dental services available. 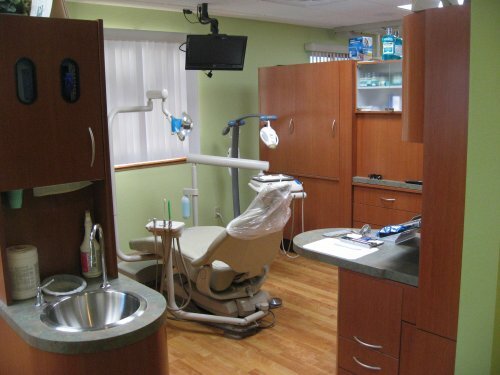 With state-of-the-art equipment, highly qualified staff, friendly faces, and comforts like radio and televisions, your experience with Downtown Dental Services will be positive from start to finish. Our practice believes in whole-person health; to us, you are more than a set of teeth! 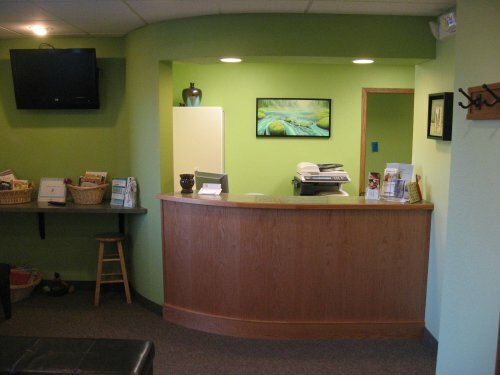 We work closely with our patients to gain a complete picture of their health. We want to know more than how often you brush your teeth—we want to know what your dental health means to you and how we can help meet your wellness needs. Our goal is to educate our patients on how dental and oral health contributes to your individual picture of overall well-being, as many people are not aware of the far-reaching effects that oral health has on your body. We aim to start a conversation with each patient about the importance of good oral hygiene, along the best practices for each person’s lifestyle. We believe in the power of information and share our knowledge and guidance with each and every patient. Our relationship philosophy is to involve our patients in their care as much as possible. This goes beyond teaching them the skills needed to maintain dental health at home. 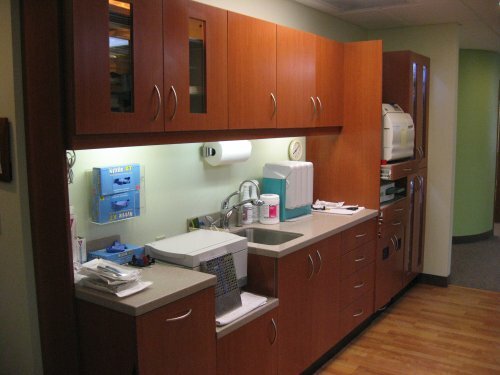 It means that in every step of our care, from X-rays to dental records, we keep you as informed as possible. We begin your treatment with a comprehensive exam which addresses both your concerns and ones that we may have. After the initial exam, we create a tailored treatment plan based on your needs and goals. We will review your treatments thoroughly—from the procedures and after-care to insurance coverage and payment plans. No more leaving your dentist’s chair with less plaque but more questions. We’re committed to world-class family and cosmetic dentistry services that are suitable for your whole family. 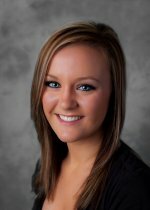 We’re here to help you maintain healthy teeth and gums throughout your lifetime and create beautiful smiles. 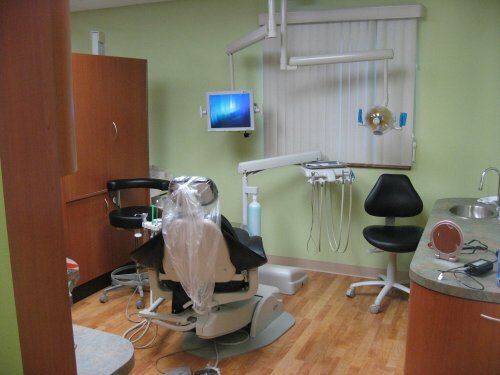 Quality dental care, excellent service and patient comfort are our top priorities. We take great satisfaction in providing personal care for each patient we treat, as we understand that everyone has different needs and wants. 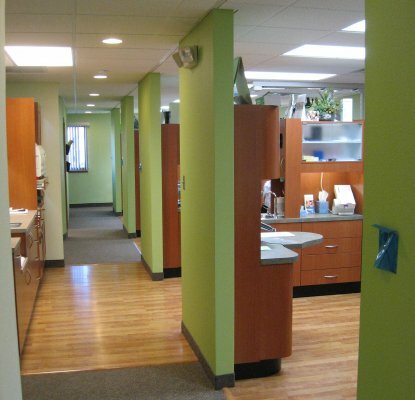 At Downtown Dental Services, we’ll help you find your way to optimum oral health. 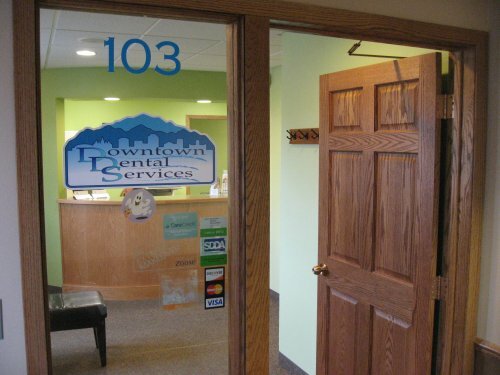 The Downtown Dental office is conveniently located in beautiful Downtown Rapid City, directly across from the Rapid City Public Library. 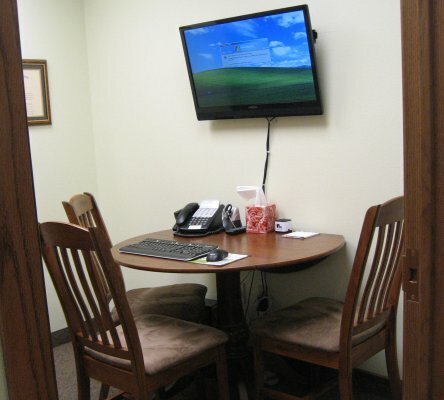 We are centrally located for easy access to our office from any corner of Rapid City. If you work or live downtown, then our office location will make it easy for you to stop in, and make it back with minimal travel time. 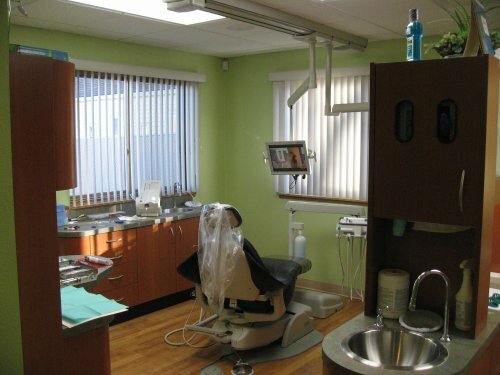 We understand your desire to receive care in a Dental office that makes you feel comfortable, confident, and at ease. Please take a moment to schedule an appointment online or stop by our downtown office for a complete tour of our dental practice. We will always take the time to introduce you to our team, walk you through our treatment areas, and learn more about the services that we provide. 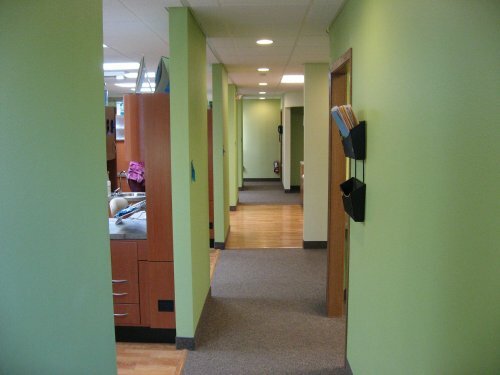 For now, you can take a virtual tour of our office by viewing the photo gallery below. I love living and practicing in Rapid City. It is a beautiful place to live and a terrific place to raise a family. I have 3 children, and we are all very active. It seems we are always on the go with school and sporting events like baseball, football, basketball, and track and field. In the Summer you will find us down at the Canyon Lake Little League fields and ASA softball fields. We also try to sneak in a camping trip or two during the Summer. I enjoy each day in the Black Hills and consider myself lucky to call our residents both patients and friends. My education began in 1985 at the University of Mary in Bismarck, ND. I graduated with a Bachelor of Science degree in 1989. 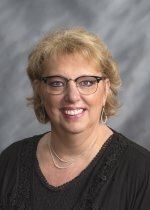 I concurrently attended the North Dakota State School of Respiratory Care and became a Certified Respiratory Care Practitioner in 1989 and a Registered Respiratory Care Practitioner in 1990. I spent a year at North Dakota State University studying Philosophy and Classical Languages from 1989-1999. 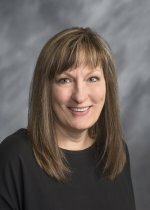 I began my medical work at St. Luke’s Hospital in Fargo, ND. While there, I practiced in the Neonatal and Pediatric Intensive Care Units until 1991, and then transferred to the Cardiac Catheterization Laboratory. There I assisted Cardiologists with angioplasties and the placement of stents in the heart. 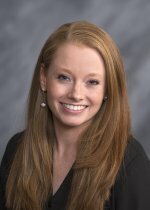 It was fascinating work, but I was drawn to the dental field when I discovered the wide variety of procedures dentists perform and the relationships they have with their patients. In 1996, I decided to enter dental school at the University of Nebraska in Lincoln. I graduated from there with a Doctor of Dental Surgery Degree in 2000 and moved to Rapid City that June. We all need a healthcare advocate who has our best interests at heart. My practice strives to communicate that with every interaction. Our staff does an exceptional job of providing patients with the information and guidance they need to make informed decisions about their care and choices. Knowing that our patients feel comfortable and cared for is a priority at Downtown Dental, equaled only by our commitment to the highest level of dental expertise. I received my degree from Western Oregon University and Portland Community College in 2007. My family and I moved to South Dakota in 2016. 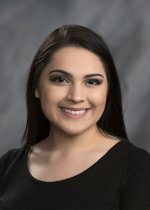 I have had the opportunity to work in several different areas of dentistry including orthodontics, pediatrics, and finances. Making patients feel welcome, educated and cared for is very important to me.